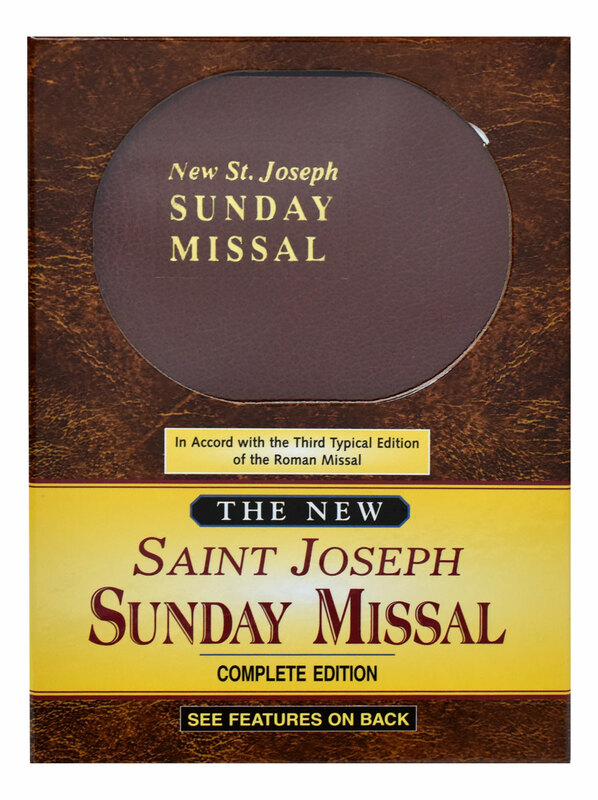 This complete and permanent Saint Joseph Sunday Missal is a comprehensive, all-inclusive Missal that provides everything necessary to participate fully in each Sunday, Vigil, and Holyday Mass. 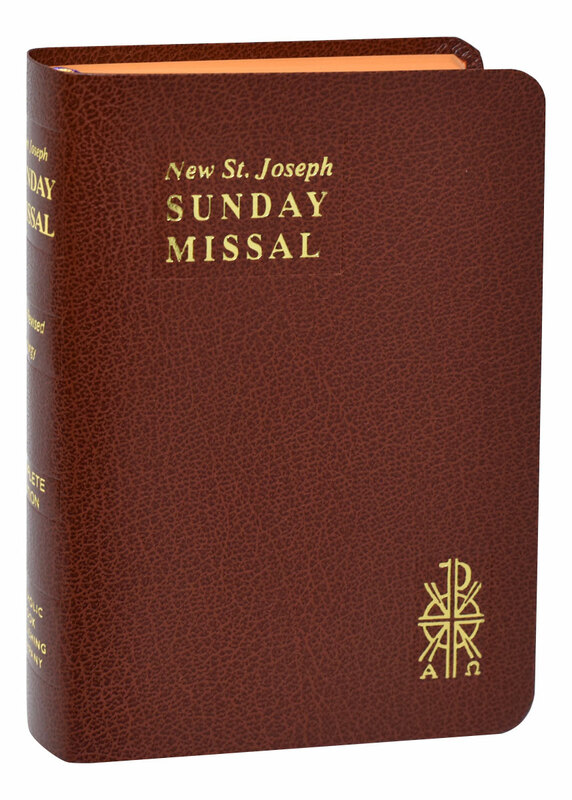 This Missal contains the Lectionary readings and celebrant's and people's prayers (in boldface type) for Sundays and Holydays. 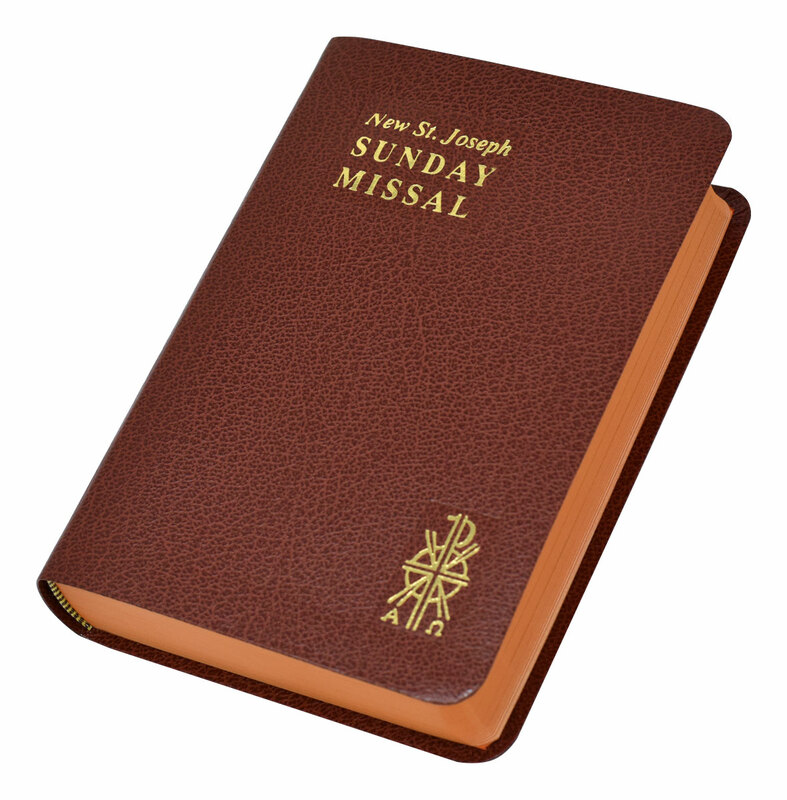 With a flexible brown cover and finely colored page edges, this affordable resource offers the complete 3-year Cycle (A, B, and C) for all Sunday readings, conveniently repeating prayers for each Cycle to eliminate unnecessary page-turning. 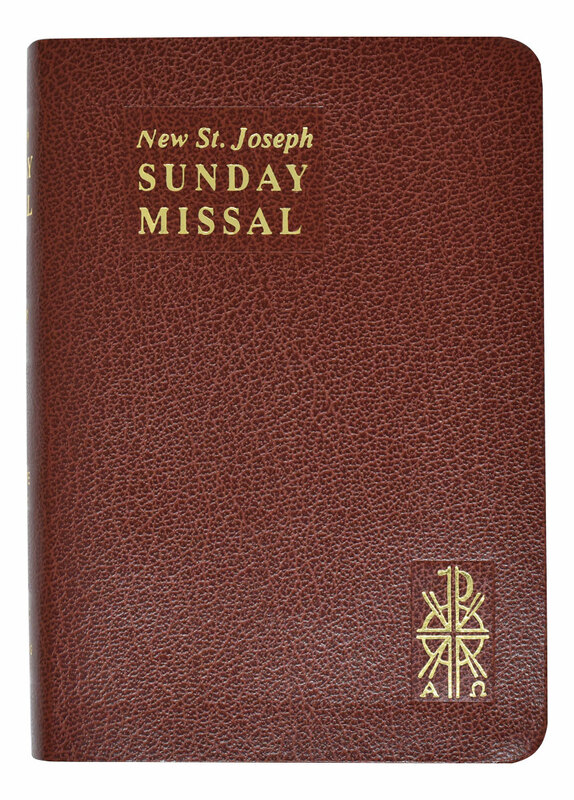 This Saint Joseph Sunday Missal, featuring a sturdily sewn binding and magnificent four-color illustrations, is designed to be treasured for a lifetime.